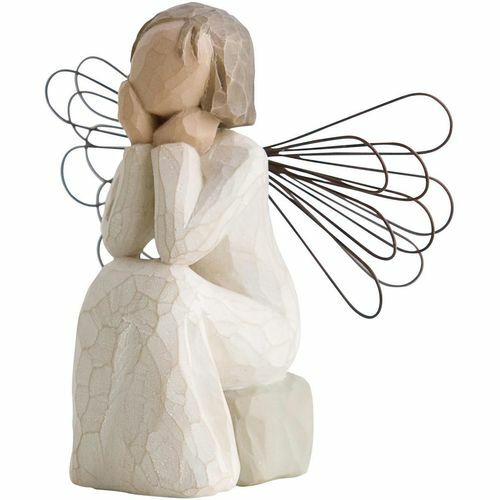 Message on the card inside reads: "Always there, listening with a willing ear and an open heart"
Willow Tree angels resonate with many cultures and ages of people. To some they represent protection, to some they are an outward reminder of inner peace, and to some they represent a way to remember those who have left this earth. An ideal gift to express appreciation and thankfulness for teachers, volunteers, donors, caregivers, friends. 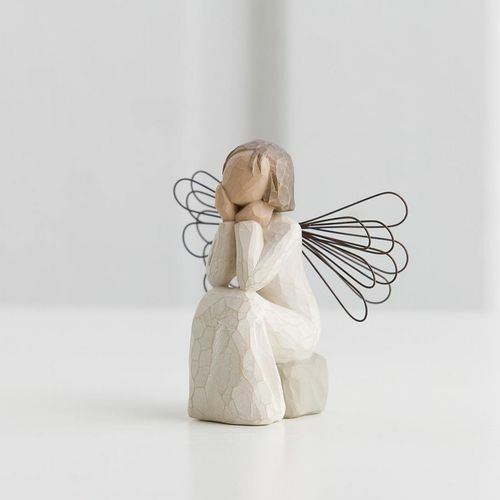 This product is part of an intimate and personal collection of Willow Tree ornaments designed by artist Susan Lordi with the intention of allowing us to express qualities and sentiments to those near and dear to us. Willow Tree was introduced in January 2000.